The New York Times has written that violinist WENDY Y. CHEN’s “playing [had] a kind of clean intoxication to it, pulling the listener along.” Born into a musical family in Shanghai, China, Chen started her violin studies at age 4 under the guidance of her father—a professor of violin at the Shanghai Conservatory—and her mother—a violinist with the Shanghai Philharmonic. Having attracted international attention at age 13 as a winner at the Prague Spring International Music Competition, Chen has performed extensively throughout Asia, Europe and North America. 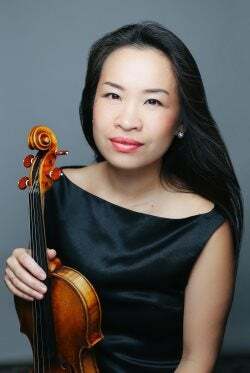 Prior to joining the New Jersey Symphony Orchestra in 2007, Chen was a founding first violinist of the Vega String Quartet (formerly the Harid String Quartet). Her seven seasons with the group marked their appearances at Carnegie Hall, Lincoln Center, Schneider Series of New York, Musée d’Orsay of Paris and Aspen Winter Concert Series, among others. The quartet was on the artist roster for Carnegie Hall and served as the quartet-in-residence at the Van Cliburn Institute. Chen’s last season with the quartet included a complete Beethoven string quartet cycle, as well as concert tours in the United States and Germany. Her selected chamber music awards include four of the total six prizes from the 1999 Bordeaux International String Quartet Competition in France (ex-Evian), including the Grand Prize of the International Music Critics, as well as first prize at the 1998 Coleman Chamber Ensemble Competition in the United States. Chen was a top prize winner in the fourth national Violin Competition in China. Her performances, both solo and with her quartet, have been heard on NPR’s “Performance Today,” WQXR Radio and the National Radios of China, France, Germany, Spain and the Czech Republic. Chen recorded the first recording of John Carpenter’s String Quartet on the Naxos record label. In March 2014, Chen was a judge of the New York International Artist Association’s International Violin Competition. 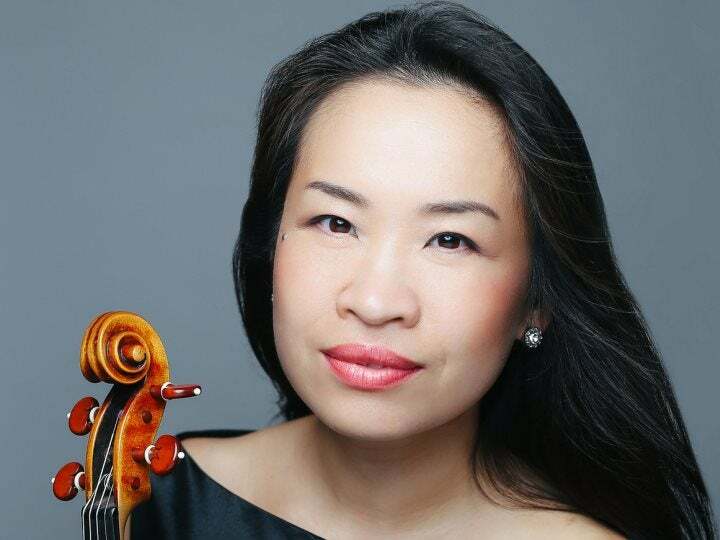 In June 2014, immediately after Chen’s performance of Brahms’ Double Concerto with the New Amsterdam Symphony Orchestra at NYC’s Symphony Space, she was rebooked for repeat solo performances in the orchestra’s 2015 and 2017 seasons. She also appeared with the New York Symphonic Arts Ensemble in 2015, playing the Butterfly Lovers’ Violin Concerto in New York. Coincidentally the piece’s premiere (1959) soloist, Lina Yu, was one of Chen’s major teachers in China. In summer 2017, after Chen’s highly praised performance of Mozart’s Third Violin Concerto in New York City, the New Amsterdam Symphony Orchestra has extended Chen’s solo engagement into a complete cycle of Mozart violin concertos. The performances will take place through several upcoming seasons. Holding a master’s degree from the Juilliard School, a performance certificate from the Shanghai Conservatory and a bachelor’s degree of Music from the Harid Conservatory, Chen’s major teachers include Glenn Dicterow, XinZhi Chen, Lina Yu and Sergiu Schwartz. She also studied with Sir. Norbert Brainin of the Amadeus String Quartet. Chen lives in Ridgewood with her husband and their two children. In her spare time, she enjoys ballroom dancing.